Ahoy me hearties! This September acclaimed Australian duo Neil Adam and Judy Turner will bring their show “Sing Me A Song” to New Zealand. Audiences will experience the wit and wisdom, the adventures and heartbreaks of Robert Louis Stevenson, author of Treasure Island, Dr Jekyll and Mr Hyde and much more. You’ll travel with him from Scotland to California, then across the Pacific to his final home in Samoa. 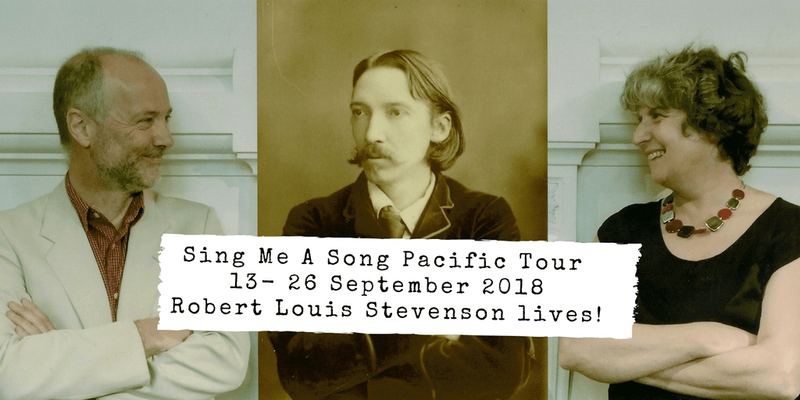 “Sing Me A Song” is a beautifully engaging performance, full of fascinating information about the life of RLS, delivered in words, music, and images. Neil's settings of RLS's words are delightfully lively and melodious. Tickets - Phone 021 473 402 or at the door.